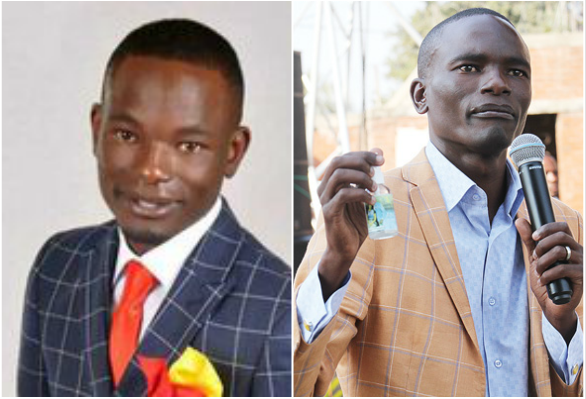 Controversial Zimbabwean Pastor, Paul Sanyangore of Victory World International who claimed to have God’s phone number will not be getting loose easily as his’ cousin, Andy Zimunya, has revealed that the pastor is evil and his miracles were fake. Andy said he is living in absolute fear for allegedly revealing the secrets of the pastor. He went on to disclose how he worked with Pastor Sanyangore to book people for fake prophecies and miracles which always seem true. “I clashed with my brother, pastor Sanyangore he pronounced a bad spell on me and my mother and as we speak he is threatening me and my mother. I nearly took my life last Saturday after he cursed me with unprintable words. He is giving people my contact number to threaten me after I warned him over disclosing his underhand ways. “Pastor Sanyangore worked with guys who helped him to fake walking on water. What he did was, he was asked by a photographer named Fatso to walk on a cloth and the cloth was edited out and replaced by water to make it seem like he walked on water. “No call from God did he ever receive. He made a deal with Tich Mataz on the claimed prophecy, this (Andy’s phone) is the one Sanyangore used claiming that he was speaking to God. “Sanyangore’s wife is not at peace, she is fighting battles with my brother over his infidelity forcing her to take his mobile phone. Tables later turned few days later when Andy Zimunya was attacked and was left for dead. He was brutally attacked after his appearance on the weekly Tildah Moyo show on Star FM. He is currently recuperating in a local hospital.